Cyclocross chainrings made for the Shimano 4-bolt road cranks in a 1X in a new format called Z-Rings — titled because of the unique characteristic that make WickWërks Z-Rings the next step forward. The “Z” is Narrow-Wide Extended — extended for ease of installation, extended for chain interaction improvements, extended for better durability, and extended for more fun! 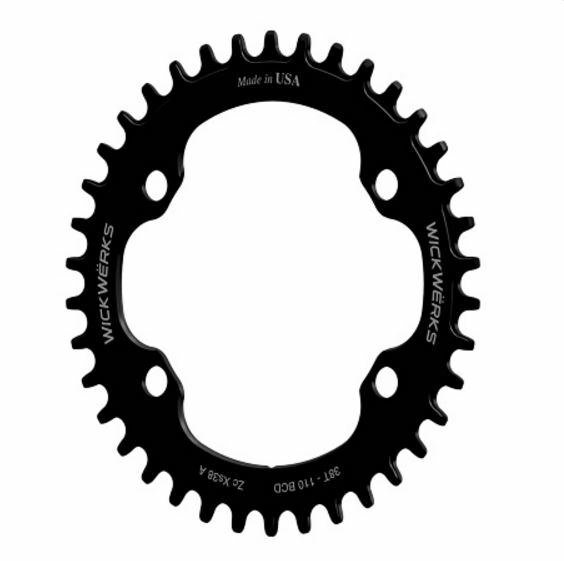 Available in 38 or 40 tooth configurations these rings allow Shimano riders to experience the 1X advantage.